Franklin M. Brigance was born on 12 August 1818 in Sumner County, Tennessee. The following appeared on 24 May 1847 in the Houston Democratic Telegraph and Texas Register: At an adjourned meeting of the citizens of Alta Mira and vicinity, held at the Masonic Collegiate Institute, near Fanthorpe's, on Sunday evening, the 9th day of May, A. D. 1847, the object of the meeting having been previously explained by Mr. M. A. Montrose, in a forcible and interesting address in behalf of Temperance; on motion the meeting was called to order by James W. Barnes, Esq., and O. H. P. Hill appointed secretary. On motion of A. Buffington, Esq., the meeting proceeded to organize a Temperance Society, to be known and styled the "Grimes County Washingtonian Society." Mr. M. A. Montrose presented a preamble and constitution for the government of the Society, which was read, and on motion of A. Buffington, Esq., was received, and unanimously adopted. On motion of A. Buffington, Esq., the meeting proceeded to the election of officers for the year; whereupon James W. Barnes, Esq. was elected president, John Graves, A. G. Perry and G. F. Lester, Vice Presidents; M. A. Montrose, Corresponding Secretary; Franklin Brigance, Secretary; and Wm. C. Roe, Treasurer. On motion of M. A. Montrose, Resolved, That a copy of the proceedings of this meeting be signed by the chairman and secretary and sent to the editors of the "Texas Banner," at Huntsville, and to the editors of each of the newspapers in Houston, for publication. J. W. Barnes, Chairman. O. H. P. Hill, Sec'y. He married Susan Emily Rogers, daughter of Lewin Rogers and Catherine (? ), on 6 November 1849 in Grimes County, Texas. Franklin M. Brigance and Susan Emily Rogers appeared in the US federal census of 1 June 1850 in Grimes County, Texas. Franklin M. Brigance and Susan Emily Rogers appeared in the US federal census of 1 June 1860 in Anderson, Grimes County, Texas. Other members of the household included A. F. Brigance, M. A. B. Brigance, Francis Edna Rogers and Martha Parrylee Roan. He was District Clerk, according to the 1860 census. 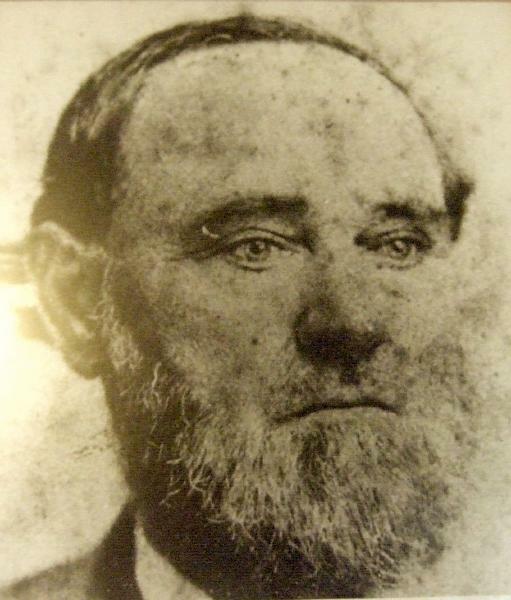 Franklin M. Brigance died on 17 June 1900 at age 81 in Grimes County, Texas.